Rev. 1.5 SLE How well does this kite age? GWTW Forum > Kites! Kites! Kites! > Quad Line Kites (aka "the dark side") > Rev. 1.5 SLE How well does this kite age? Re: Rev. 1.5 SLE How well does this kite age? Tom, I wouldn't worry about sail or bridle stretch. Sails do, bridles may, I've never noticed it. A stretched sail may not feel as crisp, but will still fly fine. Usually the first thing to go on a Rev is the mesh strip along the leading edge. It will start tearing at the two spots where it folds. They will get wider and wider, eventually running all the way across. They can be repaired by sewing, but by this time the sail will be as soft as toilet paper anyway. If you fly every weekend, this happens after about five years. You could leave the kite assembled all the time, but I don't know anyone that does. Once they start tearing, most people start saving for a new one and the old one becomes a "beater". Enjoy the kite. As long as the sail is nice and tight, you should be good to go. If it's not... a simple fix is to shorten-up the bungees. Just untie them, sinch them up a bit, and re-knot. Even on a new kite this is up-keep maintenance. I regularly fly my ~10 year old Vented SLE. I've repaired the mesh and the sail is getting soft and a bit blown out, but it still flies fine. I'll need to put a new bridle on it one of these days; it's getting badly frayed from doing slides on the beach. Both of my Revs are over 10 years old and doing fine. Wear on the LE from folding & storage but completely functional. Tough kite. Simple. It'll easily last another 20 years if you never take it out of the bag. In all the years i've known you ,i never knew you owned a Rev. Hmm... my Rev 1 has ripped the screen in only 17 years while seldom being out of the bag. 1. Roll the kite smoothly for storage, but not too tight. 2. Don't press fingers into the mesh when handling the kite. 3. 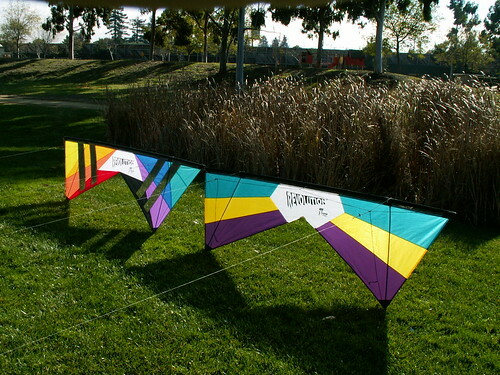 Move your fold when storing the kite, so you don't crease the same area all the time. 4. Don't over-tighten the bunjis, tight enough to remove slack, but not enough to promote more stretching. 5. If you're a stickler, don't leave the kite sitting out in the sun for long durations of non-flight (sunlight). Even with as much as I fly Revs, an average kite lasts me about 3-4 years... Most folks, closer to 8-10 years. Of course, having a set of kites to rotate through (std, mid, vtd) extends life since each one is flown a little less and in ideal conditions (less stress) for each model. Doesn't "duct tape" fall into the "cruel and unusual treatment" category?? ?